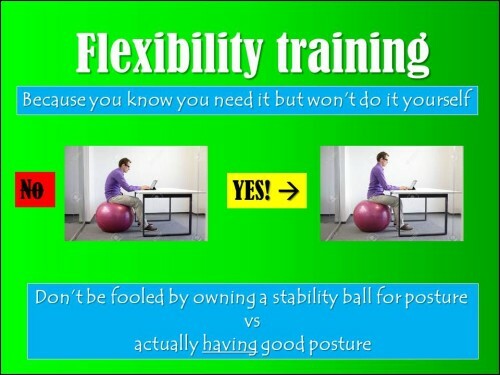 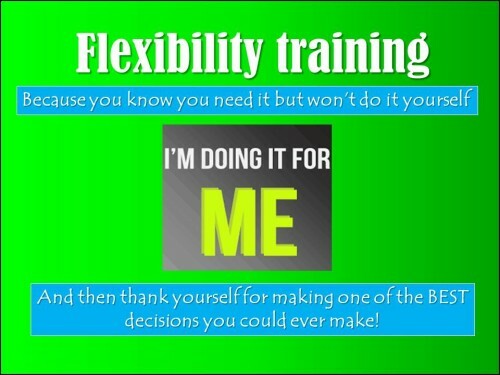 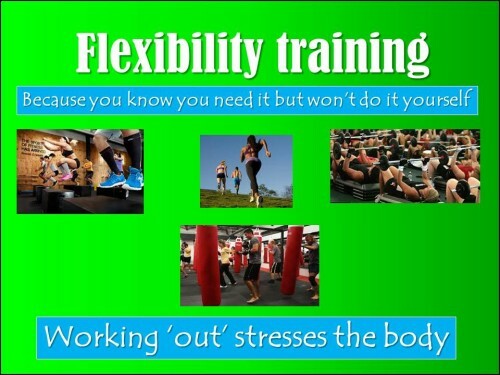 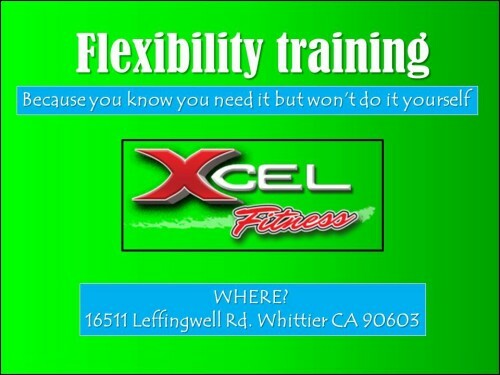 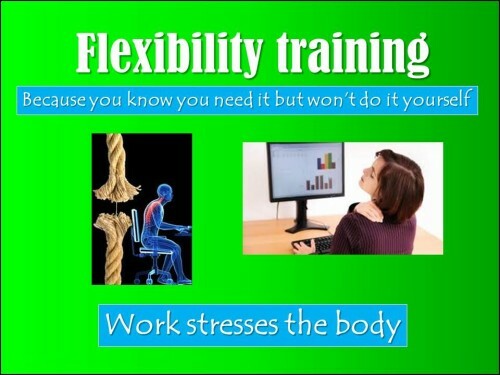 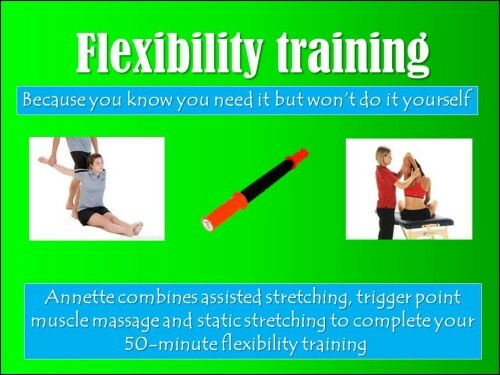 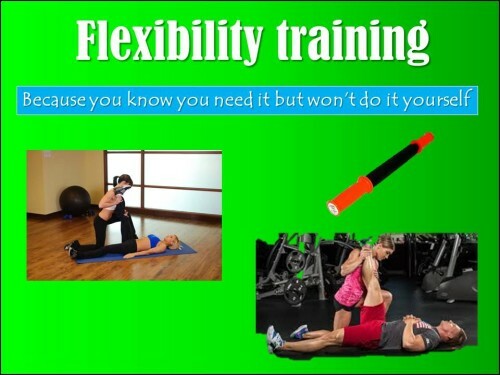 The Flexibility Training Program is an equal partner in training to all of trainer Annette’s Training Programs! 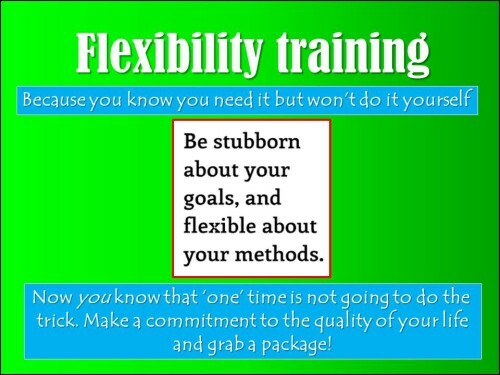 To be able to operate daily at an optimal level of balance of life and all that entails, one needs to be physically flexible. 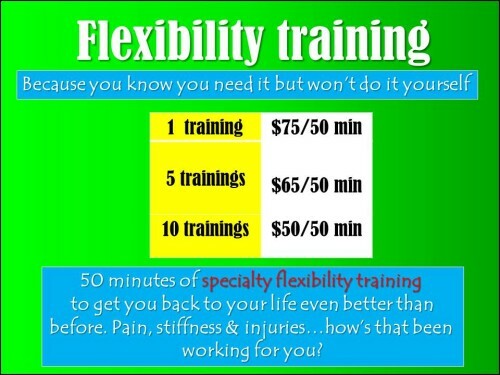 The gift of functional movement: standing up, sitting, squatting down to pick up a child or laundry basket, participate in the mud run races, the annual company softball game and life in general, flexibility cannot be ignored. 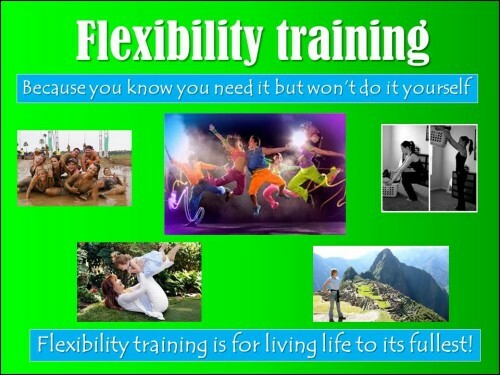 Trainer Annette believes that flexibility stands just as tall as cardio fitness, strength in lifting, endurance athletics, great food, good sleep and proper hydration. 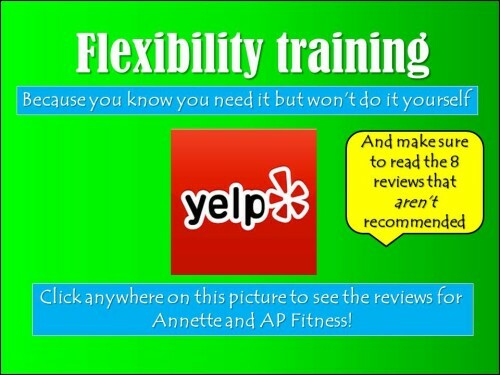 Annette also believes that many lack flexibility, the very foundation of movement and so allow us to introduce the Flexibility Training Program!